Sign up to receive specials and golf promotions delivered right to your inbox. Join the Coyote Creek Golf Club community by becoming a member at our golf club. Look at our calendar to see upcoming events at our golf club. Our experience event specialists will make your wedding a success. 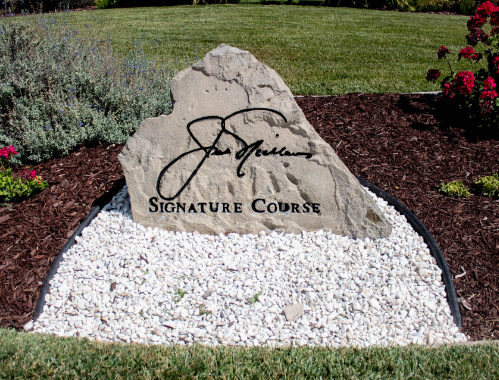 At Coyote Creek Golf Club we have two Jack Nicklaus Signature Courses. The Valley Course is open to the public and The Tournament Course is now offering private memberships. Coyote Creek has recently been voted as one of the top golf courses by Metro “The Best of The Silicon Valley 2015″. Along with that we have been rated 4 1/2 Stars by Golf Digest and we have had the honor to host to the PGA Champions Tour two times. With our top notch 18-hole golf courses, Coyote Creek is a golfer’s dream. These golf courses in Morgan Hill, California offer great views of rolling hills and sweeping meadows across the southern tip of the Silicon Valley. With lush manicured fairways and challenging greens, golfing at Coyote Creek golf course is the kind of remarkable experience that you’ll never forget. Coyote Creek boasts not one, but two well-balanced courses designed by golf legend Jack Nicklaus that golfers of every skill level will enjoy. The Tournament Course was created with the more experienced golfer in mind so be prepared to face intricate fairways and terrain while playing this course. For the more casual golfer, Coyote Creek’s Valley Course has generous open fairways and larger greens, offering 7,000 challenging yards, this course is a great fit for virtually any golfer, from beginner to pro. Coyote Creek now features TKV GPS yardage systems and has an all new fleet of 140 of the finest Golf Carts from EZ- Go.